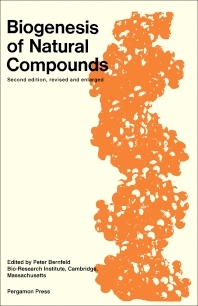 Biogenesis of Natural Compounds, Second Edition is released to provide updated information on the biogenesis of natural compounds. Most of the chapters in this book are rewritten, and new author contributes a paper on the biogenesis of proteins. This edition also includes a new chapter that deals with the formation of carcinogenic polynuclear hydrocarbons. However, all other chapters are maintained; some of which have modified headings. This edition will help those studying the biogenesis of natural compounds and in need of more updated information compared to those presented in the previous edition.